You can sell your car in 24-48 hours with DamagedCars.com. 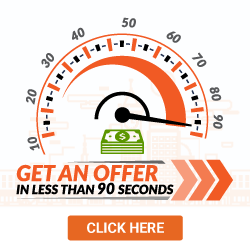 Get a fair market offer in 90 seconds and get paid fast! If you have a damaged car in Detroit, Michigan, you’re in luck! DamagedCars.com will pay you on the spot for your vehicle. If you can’t make it onto U.S. Route 24—or if you can’t even park your vehicle—you still have options available. Here at DamagedCars.com, we’re expert appraisers. Regardless of your car’s quality, we have a price. If you want to sell your vehicle quickly, easily and with no strings attached—check out our online options. 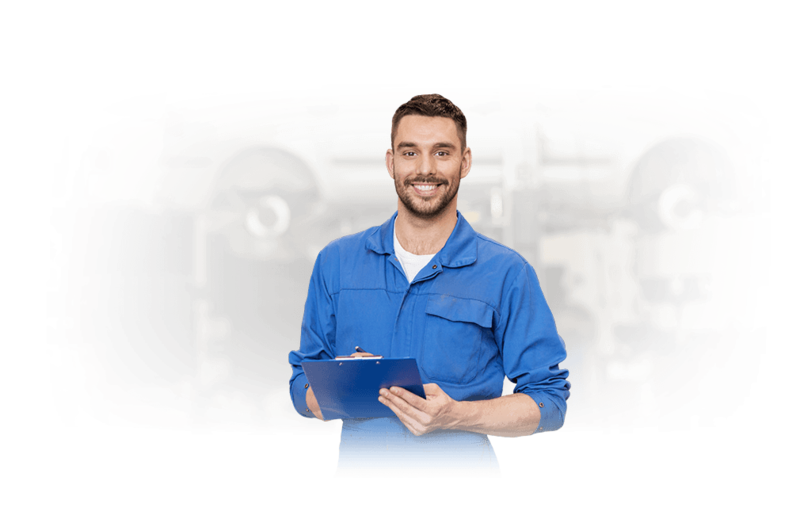 We're your leading Michigan junk car buyers, and we buy junk cars from all types of sellers. DamagedCars.com specializes in purchasing old, worn-out vehicles. We even buy salvage cars. Our online form is easy, giving friendly buyers and a nationwide network of providers instant access to your offer. You’re guaranteed a pick-up within 24 to 48 hours. If you want to sell your vehicle in Detroit quickly, use our online car buying form! We’ll even offer you an as-is offer—which sets you up with a selling opportunity within 90 seconds. We’ll pick up cars with blown engines, and we’ll even buy totaled vehicles. Whether your car is wrecked, salvaged or simply has a bad transmission, we’ve got you covered. That’s it! We require the vehicle title because it’s required by state law before selling. You should also have your vehicle registration handy, as it’ll help prove your ownership of the vehicle. A Michigan Bill of Sale, too, can speed up the process. It’ll simply provide a record of your vehicle’s purchase. On our end, we’ll make sure the Michigan vehicle title transfer is taken care of. You should remove your vehicle’s license plate before we arrive, though. Send it to your local Detroit DMV, and fill out the required paperwork. Every vehicle offer is personalized, so you’re given the best available option for your damaged car. We follow the “Cash for Cars” approach. This program puts the money where it belongs: In your pocket. 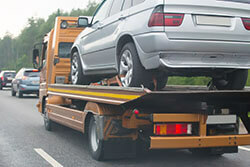 If you want to get a vehicle removed from your property quickly, this option is tough to beat. Simply enter your vehicle detail, accept the provided offer and get paid! We’ll give you the check during the car’s pick-up. Detroit is the oldest city to the west of America’s original thirteen colonies. Detroit, which means “the strait,” in French, refers to the Detroit River—which is the strait between Canada and the United States. So, before looking up “sell my car in Michigan” online, give DamagedCars.com a look. 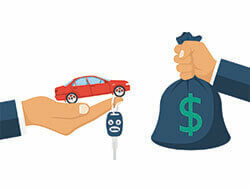 We buy cars online with a quick, decisive process. Your damaged cars are our treasure, and we're paying big for it.